All our Life Coaching events/trainings in haryana are conducted by certified Life Coaches, who have at least one year of professional experience. When you book an event/training at Life Positive, you are protected by the Life Positive seal of trust. All is in the mind. Nothing rings truer than this saying! 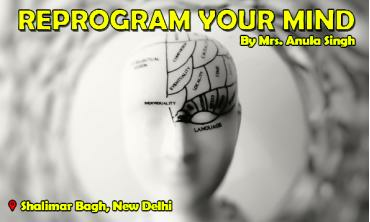 Coaching the mind Our life is shaped by our minds and the quality of our thoughts. 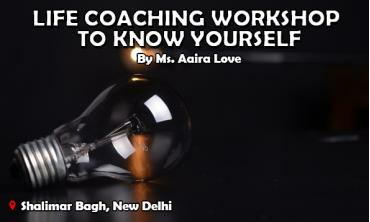 Would you like to have the power t. . .
Join Aaira for An Introductory Workshop on Self Love. Meet yourself in this workshop Want to spread love to others? First, learn to love yourselves. T. . .
Okhla Phase I, Okhla Industrial Area, New Delhi, D. . .
Don't miss this unique workshop by Ritu Tandon, designed to improve your happiness quotient! 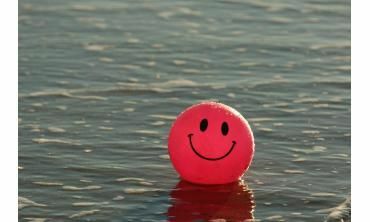 Happiness is not only the deepest desire of the heart but also your right to liv. . .
" Happiness mantra is indeed a key to success keeping your mind proactive!" " I have taken many therapies from Mrs. Kulkarni. There is no doubt everytime I have got benefitted to a large extent. I have seen so many changes in my life a quick one and long term as well. It has boost my confidence in tremendous way and spiritually I could clearly feel the upliftment in many major issues. It's always a transparent, peaceful and calming experience when she works. I have personally experienced the divine healing taking place when she works. It goes without saying that there is nothing that you cannot discuss with her. I feel blessed to found her as my therapist. My sincere gratitude to her. " " Loving yourself is the most beautiful and fulfilling experience one can have... once ypu actually start loving yourself everything in life falls in place .. self love workshop helps you to understand what it actually means to love yourself .. amazing and a must to attend workshop." Tilak Nagar, New Delhi, D. . .
" I felt so relaxed and free after attending this workshop...now i feel we have more love to give without feeling depleted.....your inner shines naturally." " Excellent , Necessary for everyone." " With Aaira i have discovered a whole new meaning to my self."